Enteric infection is a type of intestinal disease that causes symptoms ranging from mild gastroenteritis to systemic infections and severe diarrhea. According to WHO in 2017, Infectious gastroenteritis accounts for 1 billion cases of diarrhea globally and over 2 million deaths annually. In addition to this, according to Bill and Melinda Gates Foundation, 2017, enteric and diarrheal diseases leads to death of about 500,000 children, under the age of five each year, and children who survive repeated infections by gut pathogens in the early years of their life may suffer from lifelong health problems. This continuous rise in enteric infections among children is one of the major factors contributing to growth of the enteric disease testing market. Continuous launch of enteric disease testing products by key manufacturers is expected accelerate growth of the market over the forecast period. For instance, in July 2014, Trinity Biotech plc received CE marking for its new Uni-Gold H. pylori Antigen point-of-care test. The Uni-Gold H. pylori Antigen is a 15 min rapid test, used in diagnosis of Helicobacter pylori (H. pylori) infection and to monitor the effectiveness of a treatment. Rising prevalence of diarrhea coupled with unhygienic living conditions is leading to increasing demand for rapid diagnosis in order to treat diseases such as cholera, and other diarrheal diseases. These are expected to propel growth of the market over the forecast period. According to WHO in 2017, globally, there were1.7 billion cases of diarrhea accounting for over 2 million deaths. Children aged five years are particularly at risk, accounting for 760,000 fatalities, each year. Initiatives by healthcare bodies such as the WHO and UNICEF, for the prevention and control of the enteric infection is also expected to boost growth of the enteric disease testing market. These organizations are working towards promoting testing for such infections by conducting awareness programmes and healthcare camps. 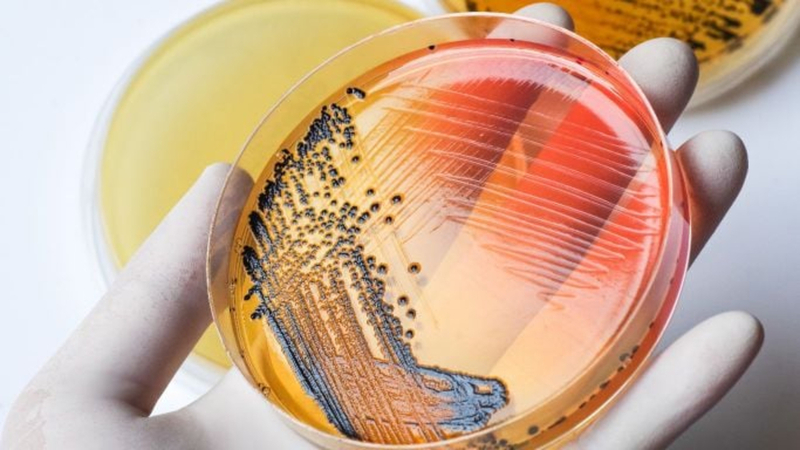 Major companies in enteric disease testing market are Alere Inc., Biomerieux SA, Trinity Biotech plc, Biomerica, Inc., Bio-Rad Laboratories, Inc., Meridian Bioscience Inc., BioConnections, Quest Diagnostics Incorporated, Cepheid Inc., and DiaSorin.